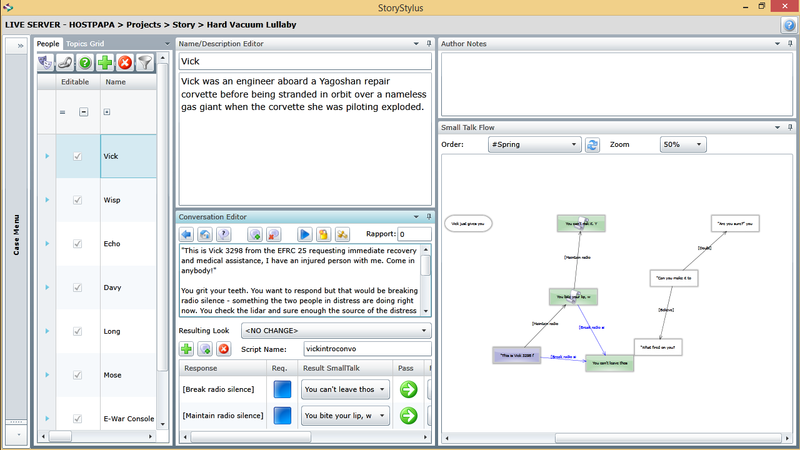 StoryStylus - You've got the stories. We've got the technology! Let’s create Story Worlds together! SOFTWARE DESIGNED FOR STORYTELLERS TO CREATE, PUBLISH & PLAY INTERACTIVE STORY GAMES FOR WEB, MOBILE OR FACEBOOK. Linear, branching or sandbox narrative-driven worlds. Living, breathing interactive worlds where story matters. Among fellow storytellers, artists, musicians, and with your audience! 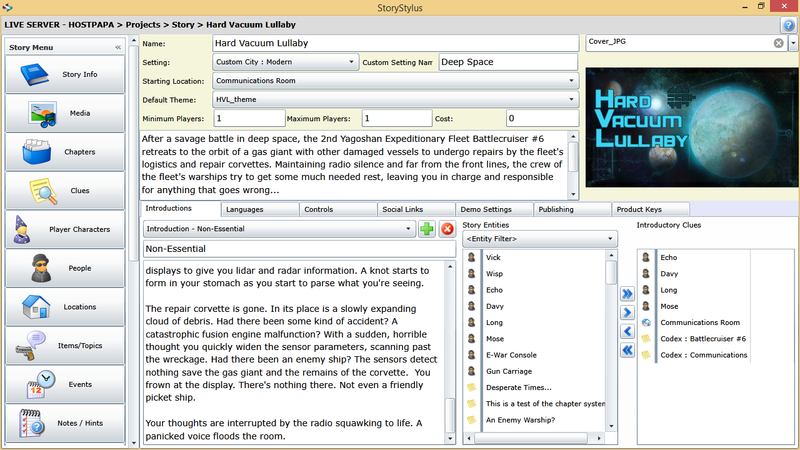 StoryStylus is WordPress for publishing narrative-focused games. We’ve simplified story elements like People, Locations, Events, Items and Conversation into building blocks waiting for you to create your story worlds for exploration. 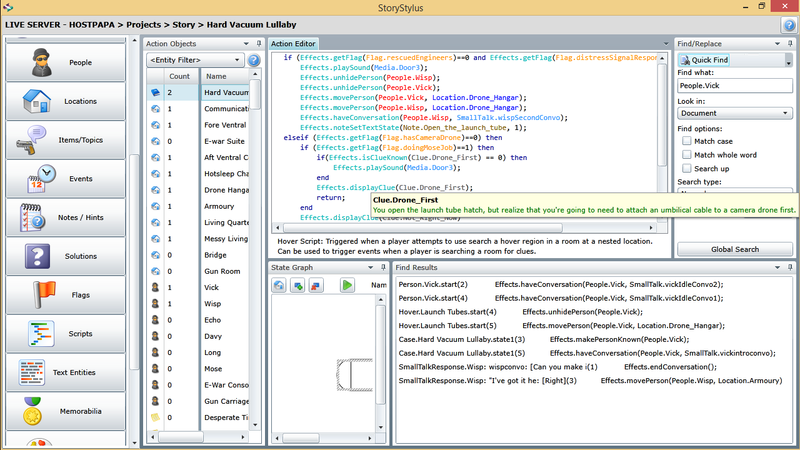 It’s so easy we’ve taught 10 year olds how to make games with StoryStylus! Want to transform your short stories, graphic novels or your novels into interactive games? Use StoryStylus to create Point and Click adventures by uploading your media – photographs or illustrations, sound effects, voiceovers and scores. Customize your game’s theme by designing your own theme templates for your steampunk, mystery, sci-fi, fantasy or horror story games and so much more. Make player/Non-Player Character conversations as simple or complex as you want. Players have to find a golden chalice to talk to the wizard? You can make it so! Need to be +2 in Charm to win the heart of the young prince? You can do that, too! Creating a world for your players to navigate is as easy as uploading your own maps, photos or 2D/3D illustrations and selecting points to say hey, this is a door. *Knock, knock! * Trigger conversations, travel to new locations, encounter scary beasts! Or maybe it’s just the Girl Scouts coming to sell cookies. Mmm. Cookies! 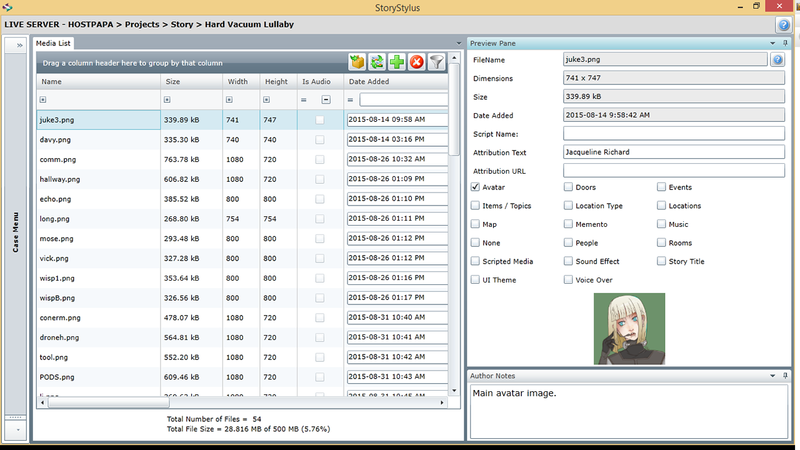 StoryStylus is a GREAT game making engine. Use it to prototype stories and practise being amazing at interactive storytelling. 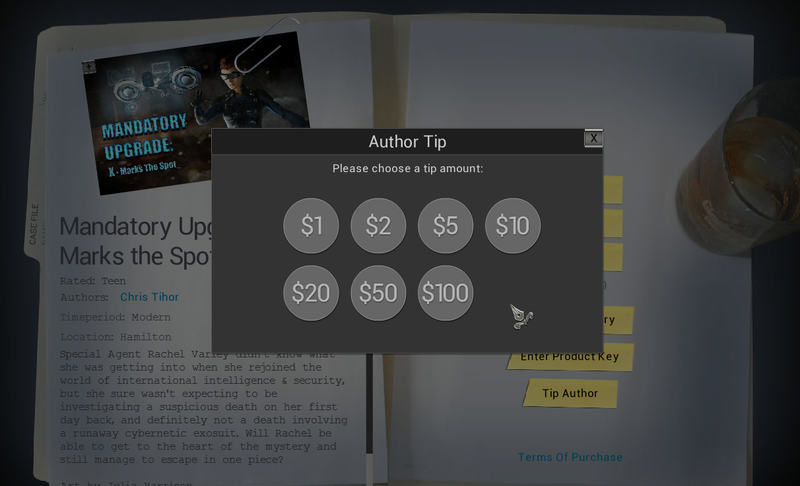 You can even earn tips/donations from your raving fans! Ultimately, we want the BEST stories for curation so we can publish them in our marketplace for you. Curated content will be published on our website and OMSG apps. These are reviewed, tested and approved by OMSG staff. Your games will be in the marketplace next to our award-winning games and games we create with #1 NYT best-selling authors. How cool is that? We have big plans for amazing features. For one, in 2019, we’ll be moving out of Silverlight (YAY!) and Flash (YAY!). Serialize your story worlds. 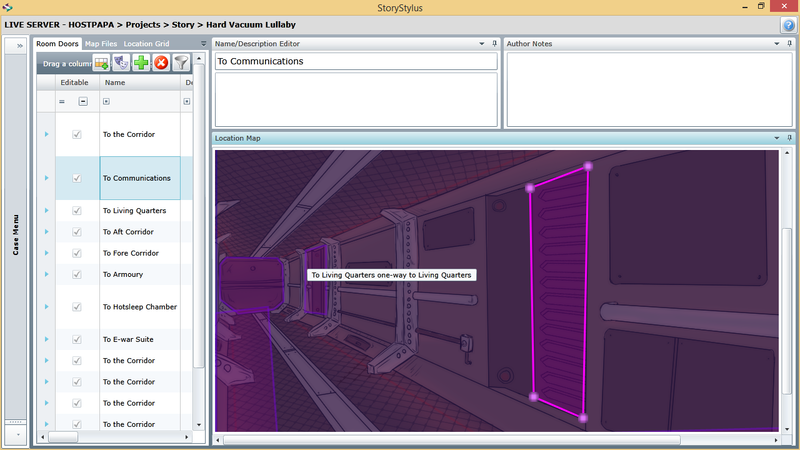 Build your story world once, create sequels and carry player choices over to subsequent story games. Translate for a global audience. Translation tools built-in make it easy for you to work with translators or write your story in multiple languages. Free Download with no obligation – Download, install and start creating Stories!